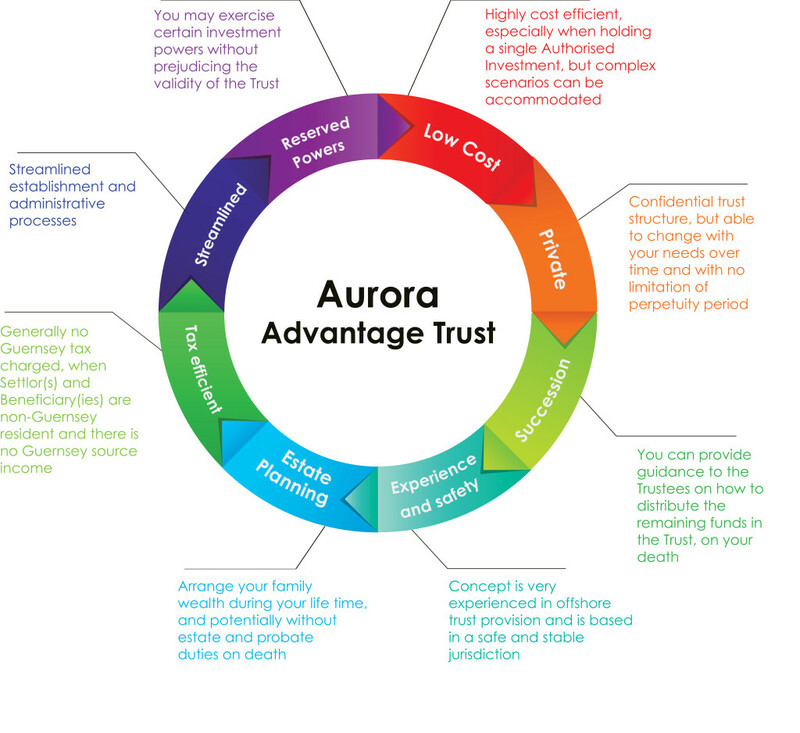 The Aurora Advantage Trust (the “Trust”) is a low cost, streamlined, discretionary trust, which can be used to efficiently “wrap” simple investments, or where desired, more complex or bespoke assets. It is a useful wealth, succession and estate planning vehicle and offers all of the benefits of a full discretionary Guernsey based trust with market leading fees, with reserved powers over investment. The Trust offers a wide range of investment management options, including the unique option for the Settlor (client) to “self manage” the investments held within the Trust, or manage them in conjunction with their Financial Adviser.